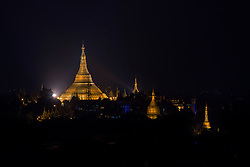 The Shwedagon Pagoda is a 99-metre-tall (325 ft) pagoda on Singuttara Hill, to the west of Kandawgyi Lake. 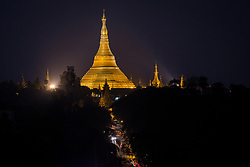 It dominates the Yangon skyline. 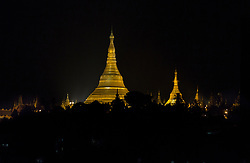 Historians and archaeologists maintain that the pagoda was built by the Mon people between the 6th and 10th centuries CE. 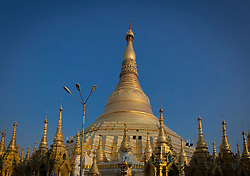 However, according to legend, the Shwedagon Pagoda was constructed more than 2,600 years ago, which would make it the oldest Buddhist stupa in the world.